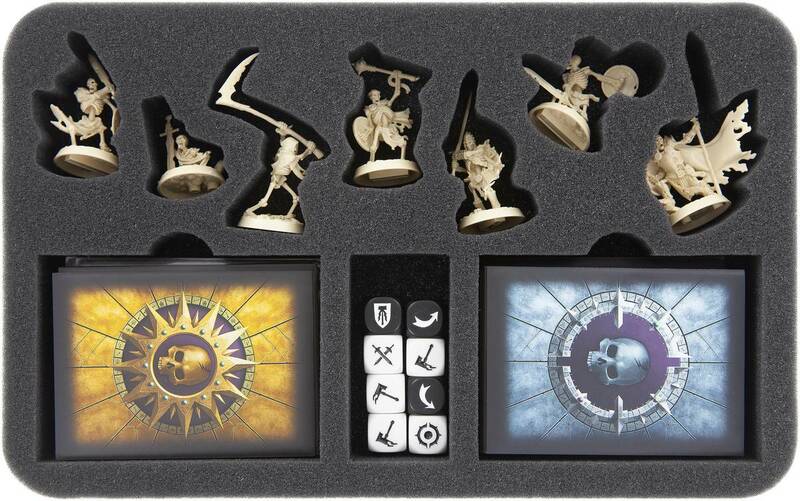 For safe storage of your Shadespire warband Sepulchral Guard. The Sepulchral Warden and his Deathrattle comrades are not the typical charnel slaves of Shadespire. Their souls remain trapped by Nagash's curse in their rotten skeletal figures. Also the memory of her past life is not completely extinct. Therefore, they put themselves at the service of the great necromancer in order one day to be freed from their suffering. This bony warband for Warhammer Underworlds: Shadespire comes with seven finely crafted miniatures and the corresponding deck of cards. 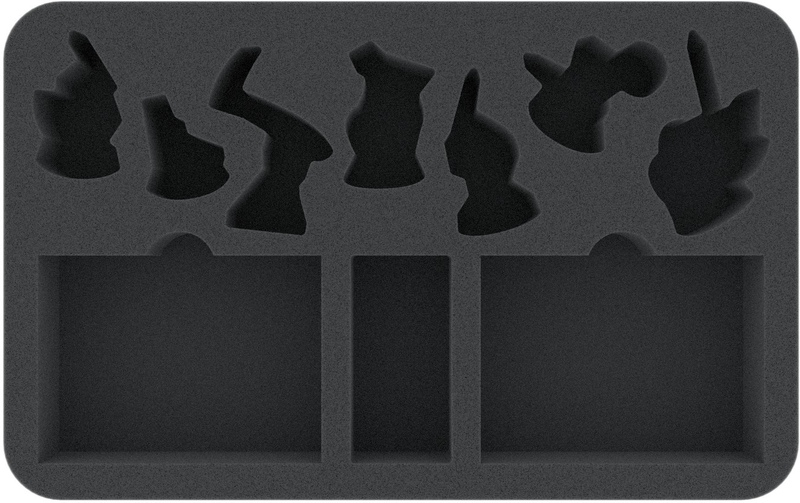 To store the skeletons safely, we offer the suitable foam tray. The tray contains seven individually tailored compartments for the 3 Petitioners, The Champion, The Harvester, The Prince of Dust and The Sepulchral Warden. The miniature-precise cutting prevents the figures from slipping or colliding. This preserves the painted figures from flaking off. This also prevents sensitive parts, such as scythes or cloaks, from bending or breakage. 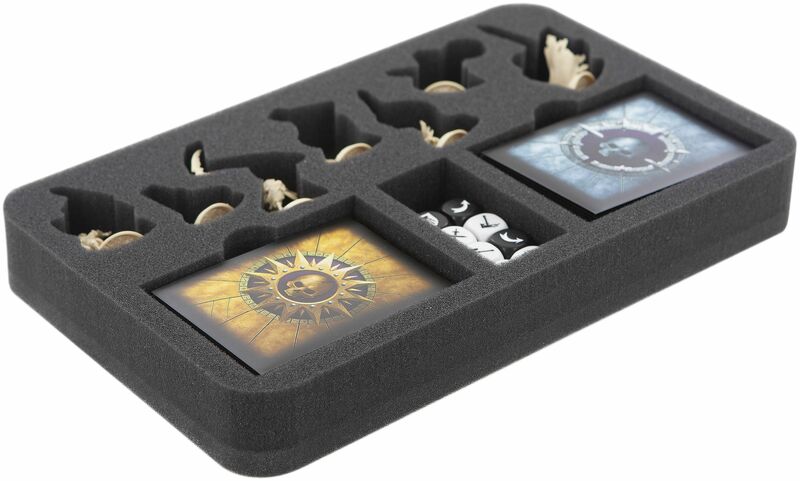 In addition, the foam tray has two compartments for up to 40 cards. Which will fit with sleeve as well of course. A further compartment is provided for the cuboids. With this you keep order and your undead flock is always ready for battle. 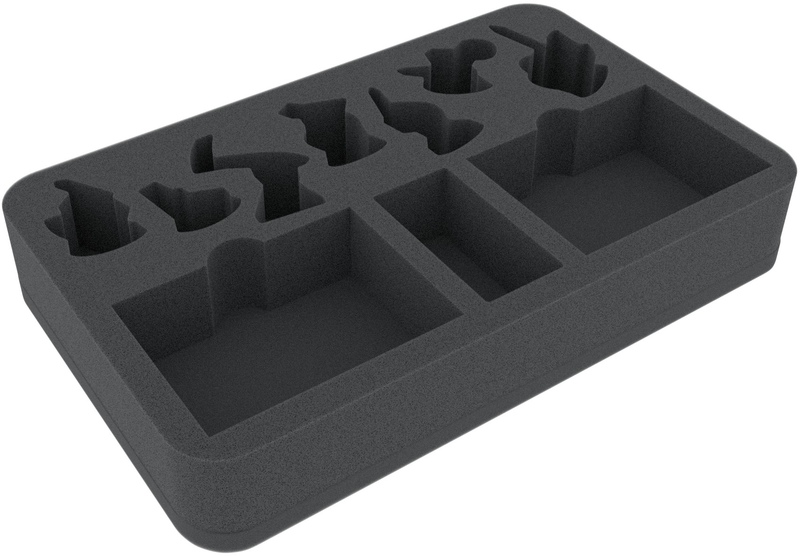 The foam tray measures 275 mm x 172 mm x 35 mm height.